How easy do you think it would be for someone to convince you that you'd seen something that never really happened? What about them doing this without actually saying anything misleading? That would almost be impossible, surely? Well, research into verbal and nonverbal influence suggests this can happen, and that we're actually far more suggestible than we might like to think. We know that people easily can be misled through words, and that changing the way we phrase a question can affect how somebody answers it. For instance, if you ask someone "how tall was the man? ", they will probably say he was taller on average than if you asked "how short was the man?" A cleverly-worded question that implies something was present can make people believe they saw it, and biased questions can implant false memories in people, causing them to remember something fictional as if it were real. But speech isn't the only way we communicate with people. We also give lots of information away through our nonverbal behaviour, especially our hand gestures. When we talk, we tend to gesture a lot, and the people we're speaking to can use these gestures to make sense of what we're saying. Imagine you're telling a friend that you hurt your arm recently. You might say "I hurt myself last week" and rub your arm while doing so. Here, you communicate part of the message through your speech ("hurt") and the other part through your gesture ("arm"). A listener will combine these two pieces of information to get one full story, and probably won't even realise the information came from two different places. Giving somebody helpful information through gesture is one thing, but what about if we gave them some misleading information? Could a misleading gesture implant a suggestion in someone, and cause them to believe something that isn't true? These questions sparked my research into the "gestural misinformation effect". In one of my first academic studies, I wanted to see if people would misremember seeing something if false information was given to them through a hand gesture. To test this, I showed participants a video (a man coming into my office and stealing a phone from my desk) and arranged for them to be interviewed on what they could remember afterwards. After softening them up with a few distractor questions, the interviewer asked if they could describe the man's face. We found that if the interviewer stroked his chin while asking this, significantly more participants would claim that the man had a beard or stubble than if he didn't gesture. We tried this with other questions, too. If the interviewer pinched his finger while asking if the man was wearing any jewellery, the participants remembered him wearing a ring. If he grasped his wrist, they remembered a watch. People seemed to remember parts of the video differently according to what was suggested to them through the interviewer's hand gestures. In my original set of studies, our participants were largely psychology students but, since then, we've replicated the effect in children, members of the general public and even lawyers. In light of this, the gestural misinformation effect seems to be quite robust. But are people aware of how much influence these gestures have on them? Even if we can remember what has been said to us in speech, we often cannot identify when extra information has been given to us through gestures, so nonverbal influence is a bit more subtle. Typically, we're not really aware of when we gesture, and listeners don't generally see our gestures either. Because of this, people can extract information from gestures without even realising it. In a follow-up study, I found suggestions made through gesture can be just as effective as those made through speech, but that people were less likely to know when they'd been misled by a gesture compared to speech. The fact that people can be misled through gesture so easily is very interesting (if not a little scary), but there are some clear implications for this research, particularly in forensic psychology, too. 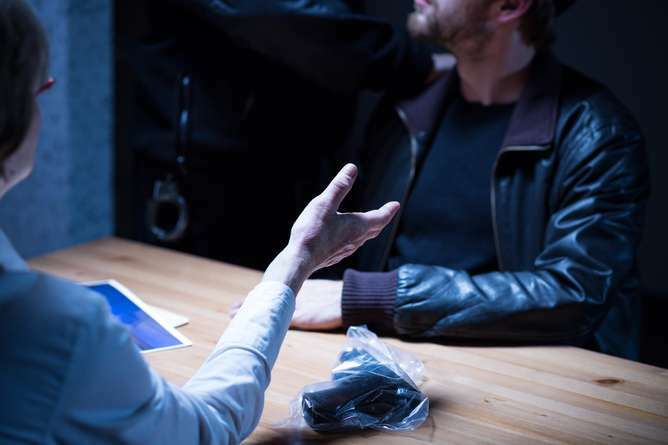 Because witnesses are so prone to misleading questions, police officers have to be very careful not to suggest any leading information to them through their questions. To make sure no unwanted influence has occurred, interviews are also audio-recorded. However, currently, there is very little training on how our gestures can influence others in interviews and, without a video recording of an interview, it's possible for a witness to be misled by gestures without a record of this happening. These findings on nonverbal suggestion can extend to any interview situation, or any dialogue between two people. There may be times when we've been influenced by someone's hand gestures, and without even knowing it. Because of this, we should be aware of the power of nonverbal suggestion and how susceptible we can be to its effects.